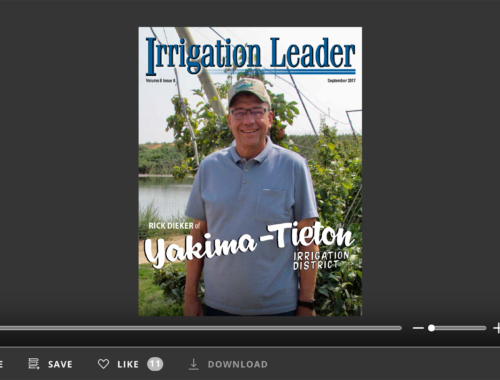 We created the Irrigation Leader magazine over five years ago with the primary objective of focusing on the innovative solutions and ideas developed by irrigation district general managers and sharing those solutions and ideas with other general managers and irrigation districts. We found that irrigation district general managers and board members are very interested in the successes and experiences of their peers. As a result, we began hosting annual Operations and Management Workshops four years ago. Irrigation district general managers and board members suggest the workshop discussion topics. The workshops are designed to be informal and to encourage speaker‑audience interaction with multiple opportunities for attendees to have side conversations. Many of our past workshop participants have told me the workshop is their favorite and the most helpful meeting they attend. 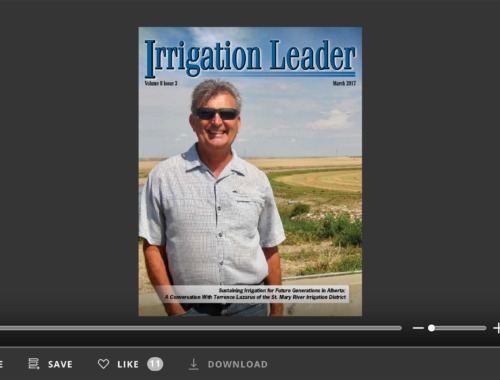 This year we have continued the educational purpose of Irrigation Leader magazine by partnering with Rubicon Water on their Australia Irrigation Education Tour scheduled for February 20-28, 2016. 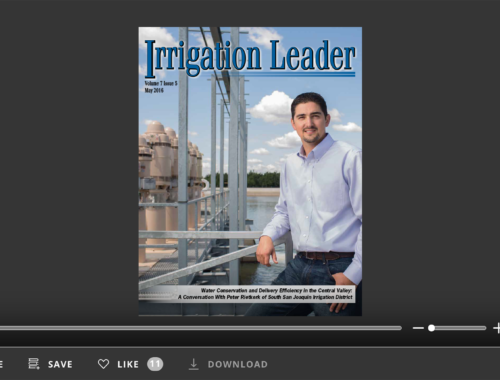 At the upcoming Operations and Management Workshop at the end of January 2016, Irrigation Leader magazine will provide door prizes for one manager and one board member to participate in the tour. The door prizes will cover $2,500.00 in airline tickets and travel expenses per individual. To win a door prize, participants must be present for the drawing at the workshop reception scheduled for the evening of January 28, 2016. This tour will provide participants with an in-depth understanding of the solutions adopted by Australian irrigation districts to protect the bottom line of their farmers in circumstances of water scarcity. The tour will include visits to key irrigation districts including Goulburn-Murray Water, Murray Irrigation, and Coleambally Irrigation. The tour will also meet with Australian farmers to discuss on‑-farm innovations and how these have increased yields. For more information on the workshop agenda and door prize rules, please see the inside back cover of this issue or go to www.WaterStrategies.com. We hope to see you in Phoenix and Australia!